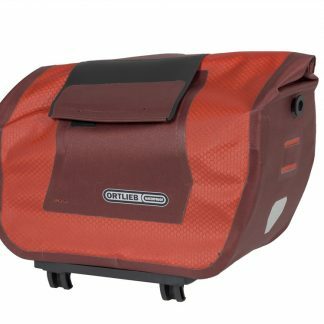 The Trunk-Bag, Travel-Biker and ORTLIEB Bike Basket create lots of secure, convenient and guaranteed waterproof stowage space for your bike. 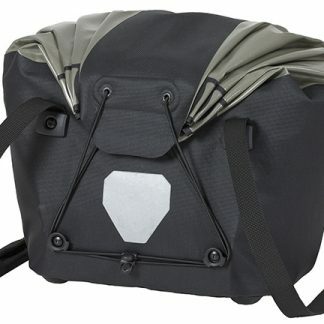 Whether you’re off on an extended bike tour or a short trip into town, you’ll enjoy the advantages of ORTLIEB’s sturdy-mount rack-top bags that defy even the heaviest of downpours. With a payload of 8 liters, our Trunk-Bag offers enough space for any casual outing on your bike. And when you arrive at your destination, the bag’s sturdy shoulder strap gives you a comfortable transport option as you set off on foot. If you need even more space, you may want to consider combining your Trunk-Bag with a pair of our Back-Rollers. Our waterproof Bike Basket was designed especially for trips to the farmers market and other shopping destinations. What both of these rack-top carriers have in common is that they are outfitted with the innovative, award-winning Rack-Lock-Adapter System. This means they can be quickly and conveniently mounted to or removed from virtually any commercially available bike rack. An additional special feature allows you to lock your rack-top products! 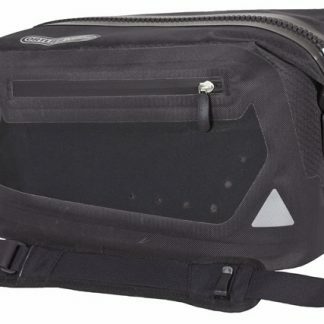 Our line of rack-top products also includes the Travel-Biker. 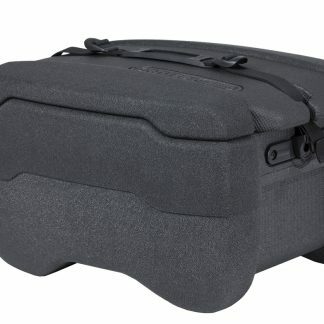 Offering 27 liters of stowage space, the Travel-Biker is a real suitcase that allows you to take your finer clothes with you – crease and wrinkle-free – to your destination. But no matter whether you choose the Travel-Biker, the Trunk Bag or the ORTLIEB Bike Basket, you’ll benefit from a rack-top carrier in waterproof quality!